Whether you’re an incoming college freshman or a soon-to-be graduating senior, learning how to be organized is extremely important. Not only will you need this skill to stay on top of your assignments and social commitments during college, but you’ll also need it to make sure you meet your work deadlines and projects in the future. Now, you may be thinking that it’s impossible for me to nail down exactly step-by-step how to be organized, and you’d be right. Instead, my purpose here is to showcase a variety of techniques that I’ve used and will suggest different ways to tweak them so that they work for your own personal work style. If you’ve been around my site awhile, you’ve probably noticed that I have a love for planners. The reason is simple – not only do they help me keep my thoughts in check, but they also prevent me from having hundreds of sticky notes posted all over my room. 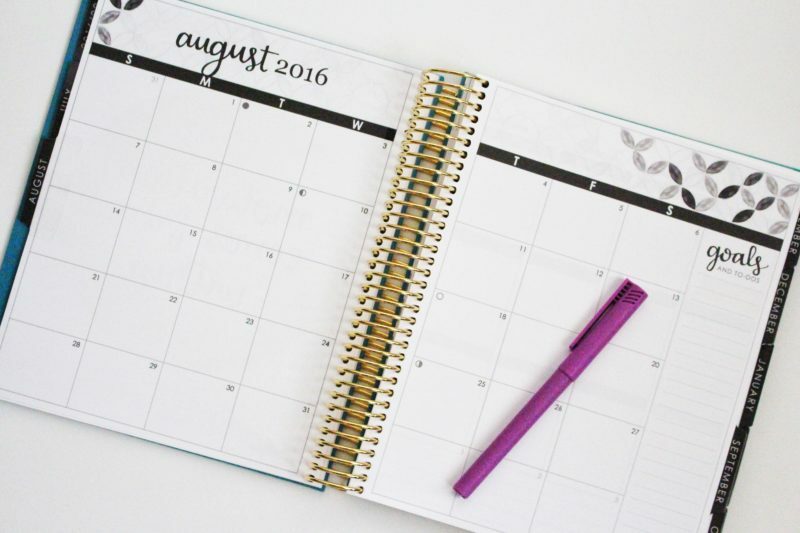 As a college student, finding the right planner should be your number one mission when doing your back-to-school shopping. You may prefer getting one that breaks things down by month, week, and year, or you may want a broader one without so many bells and whistles. 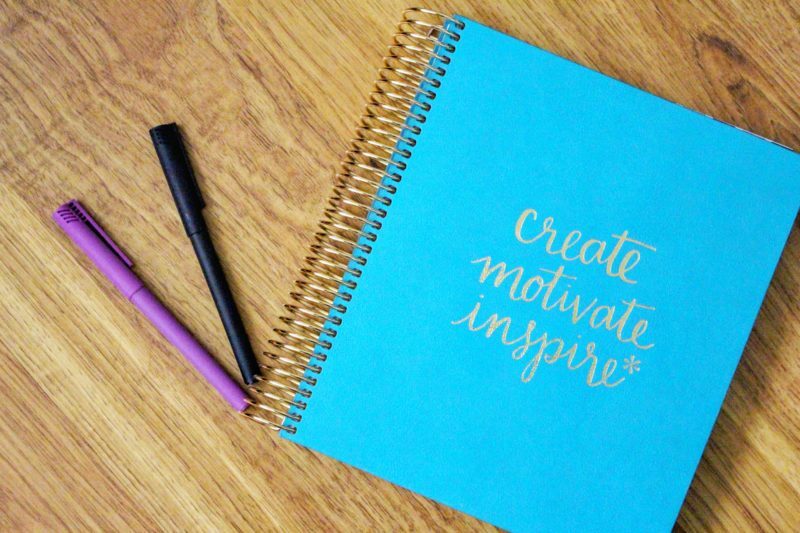 Erin Condren recently sent me their LifePlanner™, as well as tons of other amazing products, and I have literally fallen in love. 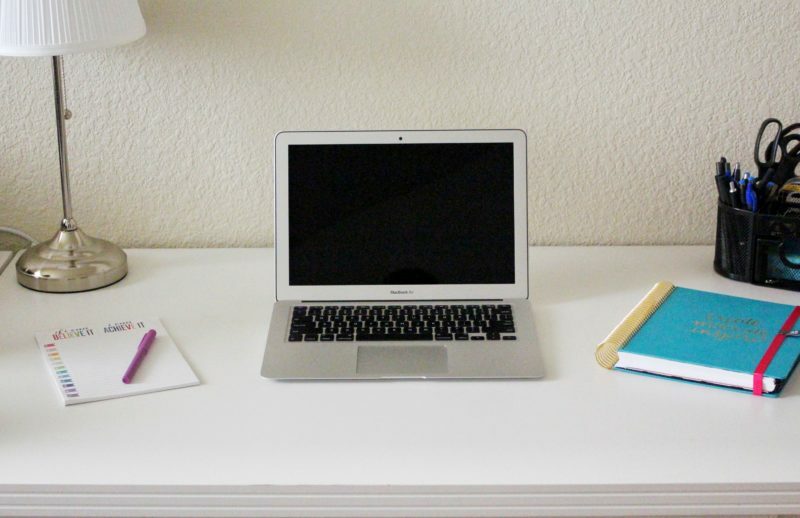 As someone who works remotely and has several projects to manage at one time, it’s important for me to have all of my to-dos and lists in one place. Honestly, this would have been the perfect planner for me in college. Not only are there 18 months included in mine, but I also have monthly calendars and weeks that are broken down into days, which I can use their cute stickers or colorful pens to designate projects or important deadlines. One of the best things you can do when first going through your planner is to input all deadlines, assignments, test dates, and social commitments (i.e. clubs, organizations, intramural sports) you have. You could use stickers, different pen colors, or tabs to make these dates stand out so that you always know when they’re approaching. I’ve been using the Erin Condren stickers and rollerball pens (one pictured above). One of the biggest mistakes I made as a college student was not being in-tune with what helped me feel calm and focused. It wasn’t until after I graduated that I found myself being more organized when I had motivational words to look at. I’ve had some friends that learned how to be more organized by surrounding themselves with pictures from home or something that they actually had an interest in (because we all know that doing that whole organization thing isn’t everyone’s favorite). Sometimes you have to trick your mind into changing and following through on actions, and that requires enticing it, and maybe even bribing it with a cookie (but seriously – chocolate worked for me every time). Motivating words might not be your cup of tea. I get it! It doesn’t work for everyone. 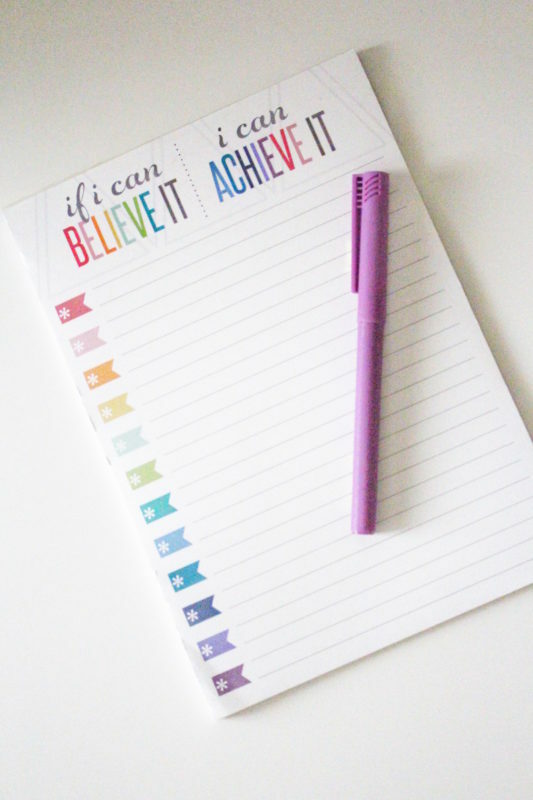 But it’s important that you do find out what method works for you so that you can get yourself into the habit of creating and keeping a schedule. What is my purpose for being in college? What are some organization tools I’ve tried in the past that didn’t work? What was it about those tools that specifically didn’t work? If you say something isn’t working, can you honestly say that you’ve given it 100% effort for the past two weeks? What are the things that make me feel calm? As much of a stickler as I am about keeping things clean and organized, I still struggle with making sure my desk isn’t overcome by clutter. I can literally start the day with just a few items on it and by the end of the day, it looks like a tornado hit it. College was the same thing for me. I’d have tons of sticky notes with due dates and random sayings written on them. By the time I circled back to see what I had written, I struggled to remember which notes went with which classes. Talk about rough! I ended up spending more time sorting my notes than organizing the information so that I could study. Do yourself a favor and move your sticky notes into a planner or notebook that has space for important messages. In the LifePlanner™, I’ve been placing these messages in the extra lines found under each day on the weekly/daily view pages. In the past with other planners, I’ve also put these messages into side spaces and the extra note pages that can often be found in the back or front (though I must say it has been extremely convenient to have the extra space below each individual day). If you’re living in the dorms on-campus, odds are that you aren’t going to have a lot of desk space to begin with. When you’re packing for college, make sure you don’t overdo it with the desk decor. Instead, focus on those things that you’ll use regularly, like a desk lamp, a notepad, pencil holder, etc. If you just can’t help but have a bunch of stuff on or near your desk, try implementing a “junk drawer” into your space. I’ve had one for years and it literally does wonders for me. Although I may not look at the things in that drawer often, it makes me feel better for some reason to have that stuff within close reach should I ever need it. Oftentimes, I include some mail, notes, random pens, office supplies, and stickers there that I’ve collected over the years. So many people get it in their mind that they need to write down literally EVERYTHING in order to stay organized. I used to be the same way. I would write full sentences in my planner of what I needed to do and when. What I found is that when I went back through my planner to look at everything, I felt extremely overwhelmed by all the writing – not exactly a good start. Today, I’ve changed my approach and now write very short notes that simply act as memory triggers. On the side, I have a notepad (Erin Condren has some cute productivity notepads that are super fun and full of writing space) where I keep larger details that I might need to know. This acts as my larger to-do list for the day, if it’s needed. I then check things off as I complete them and update my planner as needed. 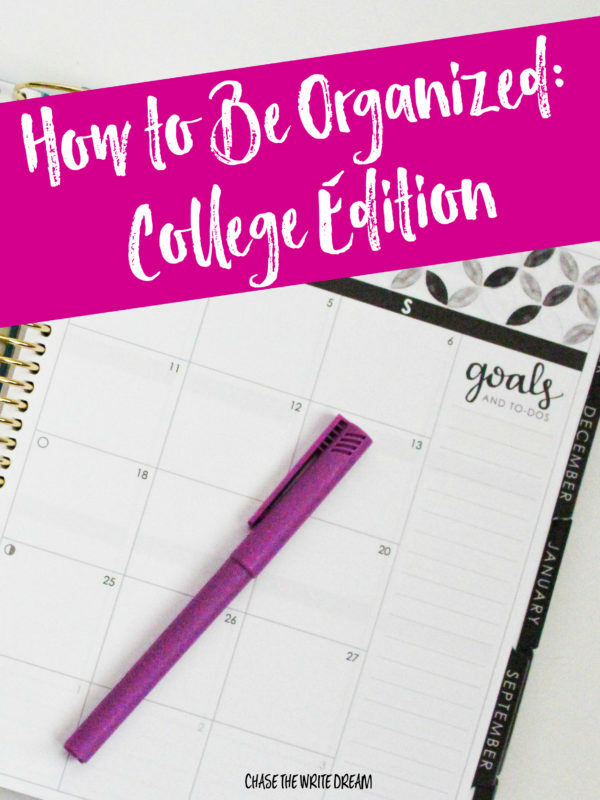 Learning how to be organized can be tricky, especially if you are entering your first year of college. Don’t worry! I’ve been in your shoes and felt like a hot mess the entire time I was trying to figure out what approach worked for me. No matter where you’re at in the organization process, I want to remind you that this isn’t something that’s just going to come over night. It may take some trial and error, and probably some frustration along the way, but don’t give up! Eventually, you’ll get the hang of this whole organization thing and you’ll be well on your way to not only college success, but life success as well. I’ll be here cheering you on the whole way! Please note that I received the Erin Condren products for free but all opinions are 100% mine. I only include products that I fully recommend!